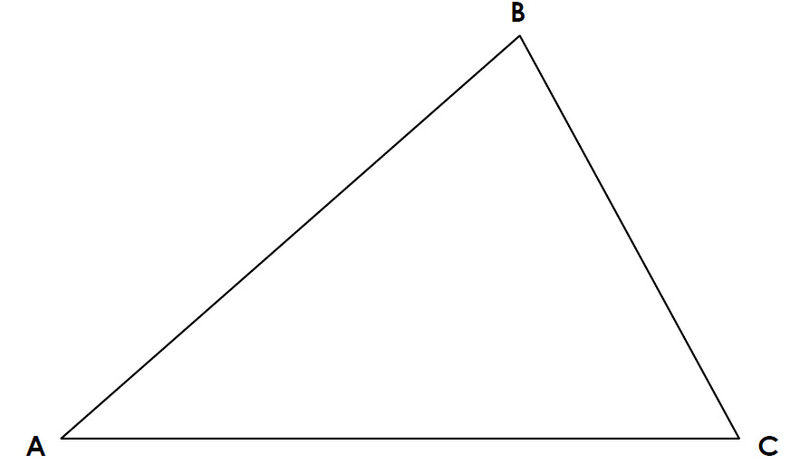 Shown above is a triangle of any shape that we are going to try and find the Orthocentre of. The Orthocentre of a triangle - The Orthocentre of a triangle is found by constructing a perpendicualr line from one side of the triangle passing through the opposite vertex. If you follow this step for all three sides, then all three perpendicular lines will pass through the same point called the orthocentre. 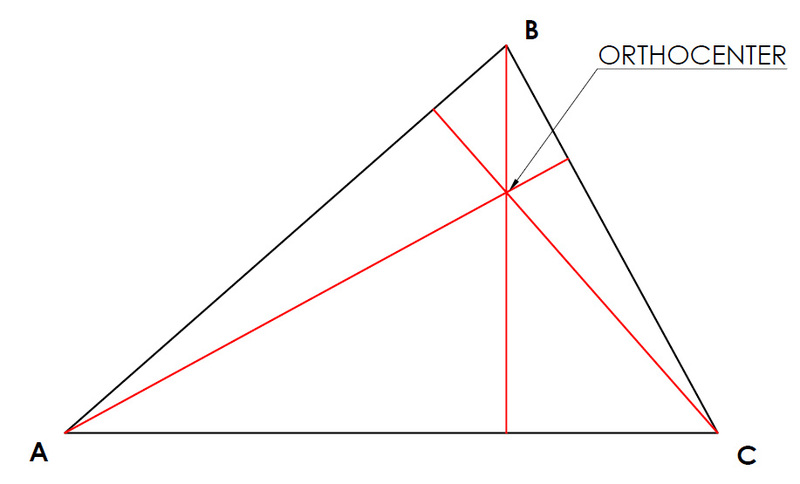 The orthocentre does not necessarily have to be within the triangle. It can just as easily be outside the triangle. Watch my video below to see what to do when the orthocentre is outside the triangle. Again it is not necessary to draw all three perpendicular line, two perpendicular line will suffice.